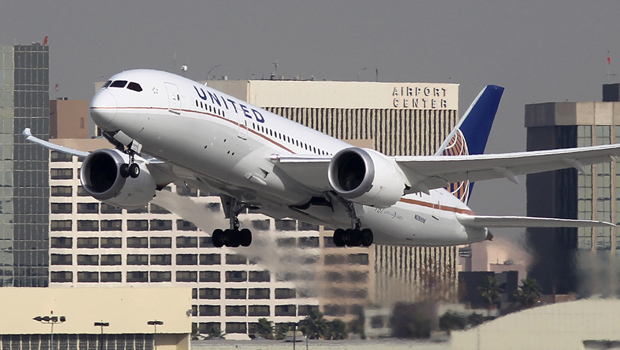 CHICAGO United Airlines (UAL) is delaying its new Denver-Tokyo service - again - because its new Boeing (BA) 787 jets remain grounded. United said Friday that service between Denver and Tokyo's Narita Airport will begin June 10. The airline had already pushed back the original March 31 start to at least May 12. The airline said that it was still determined to use the plane on the new route. The 787, which Boeing calls the Dreamliner, promises a more comfortable ride for passengers and significant fuel savings for airline customers. But all 50 of the planes in airline fleets are grounded because of incidents involving smoldering batteries in January. Boeing Co.'s fix for the lithium-ion batteries includes putting more space around cells and wrapping the batteries in steel cases. CEO Jim McNerney said Thursday that Boeing was "very close" to getting the 787 approved for passenger flights. He said Boeing has "a high degree of confidence" in the battery-system changes. The company conducted a 2-hour test flight of a 737 on Monday over Washington and Oregon and reported that everything went according to plan. The company is doing follow-up work in preparation for another test flight in which it would demonstrate the battery system's performance for Federal Aviation Administration experts.